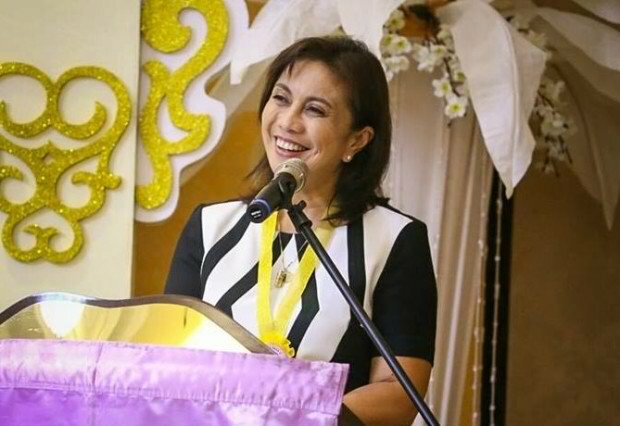 Did Quick Meet-up Changed Duterte’s not giving Robredo a Cabinet Post? 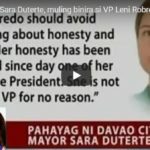 The media just won’t let the issue of President Rodrigo Duterte’s not giving Vice President Leni Robredo a Cabinet post die a natural death. 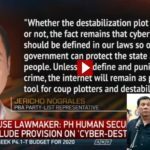 Malacañang was pressed again to answer if Duterte’s alienating Robredo from the cabinet was irreversible. 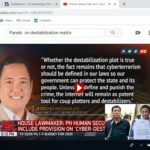 Communications Secretary Martin Andanar can only refer back inquiries to the President. 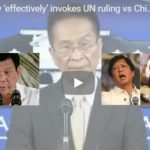 Duterte’s great respect to Bongbong Marcos hampered his will in giving an appointed post to his Vice President – but since he promised real change during the campaign, the decission can very well be revised – especially after meeting her face to face recently where there were no tensions detected – just mere “happy” moments, at least through the eyes of the public. Marcos questioned the 200,000 votes lead of Robredo over him by filing an electoral protest but mainly requesting to investigate obvious fraudulent activities allegedly maneuvered by the Liberal Party and Smartmatic in connivance with the Comelec – that of course benefitted Robredo’s win. All allegations are backed up with solid evidences and explained in the 1,000 pages election protest documents.